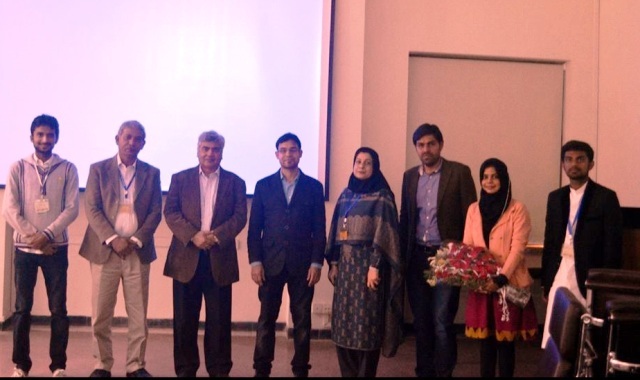 On 5 December 2014, the Senior Biology Society (SBS) organized a lecture on Arabidopsis Virilizer- Research Advances in Sweet Potato ssRNA and Heterobasidion dsRNA Viruses by Mr Muhammad Kasif. Mr Kashif is currently serving as a Researcher at METLA-The Finnish Forest Research Institute. He is also pursuing his doctoral studies in the Department of Forest Sciences at University of Helsinki, Finland. 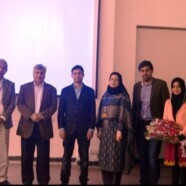 The lecture was attended by a large number of research students and faculty of Department of Biological Sciences. SBS would like to extend its heartfelt gratitude towards Dr.Samina Mehnaz for her support and help in organizing this lecture.